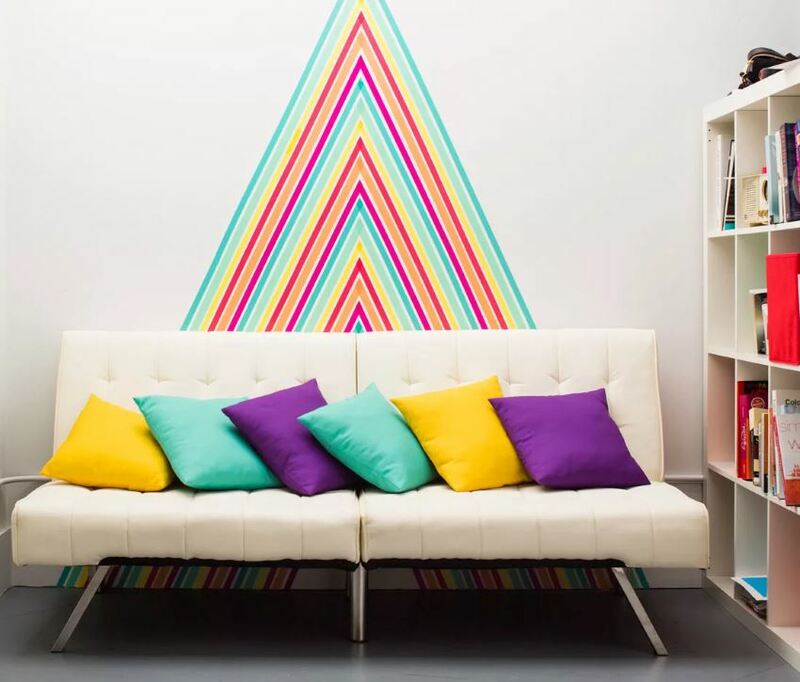 Washi tape wall from Brit + Co.
Who needs wallpaper when you can create your own DIY Washi Tape Wall Decals from Everything Emily?! 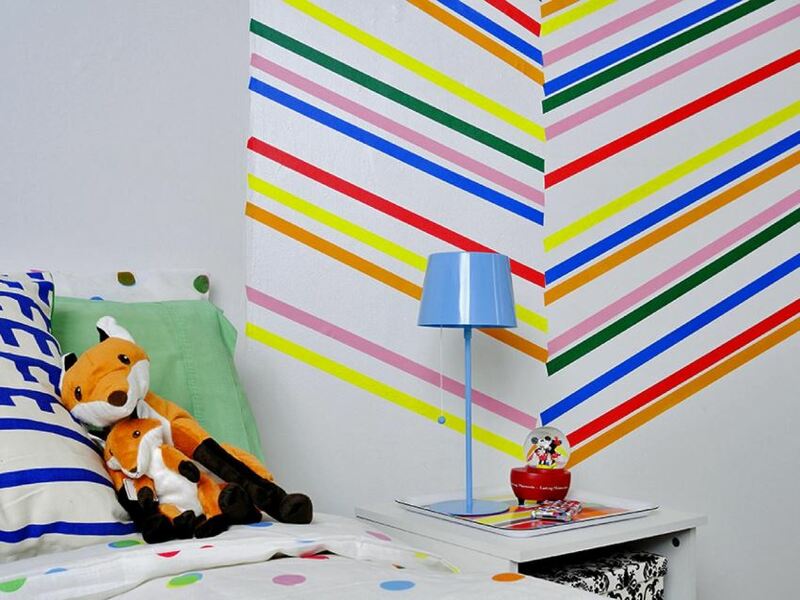 Crafted from two rolls of washi tape for less than $10, this on-trend design is perfect for modern spaces. 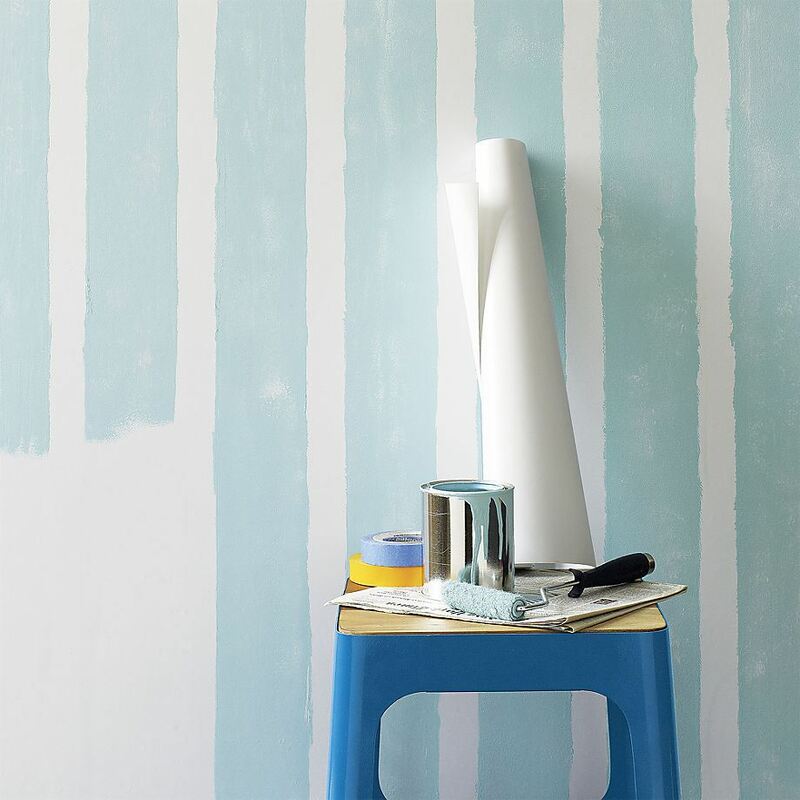 Check out the full tutorial for helpful hints, including the benefits of using a hair dryer to help seal the washi tape to the wall! 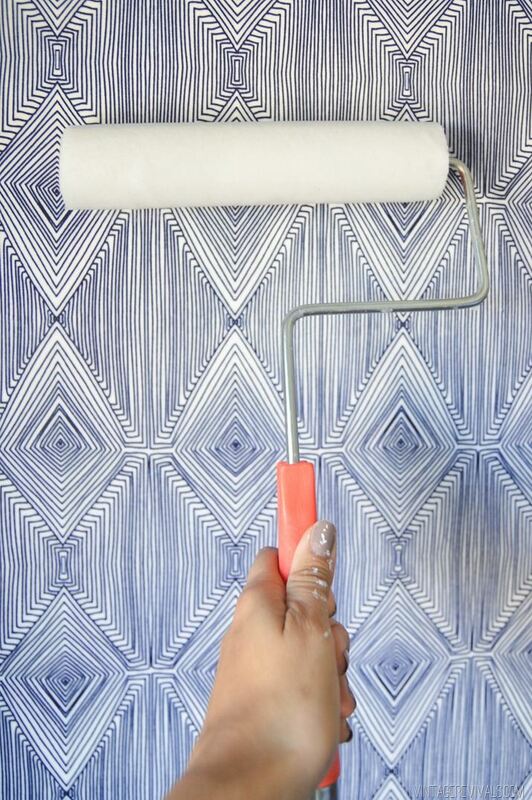 Temporary wallpaper created from fabric is another fabulous option, and Vintage Revivals pulls it off while sharing a recipe for both cornstarch temporary paste and fabric starch temporary paste options. 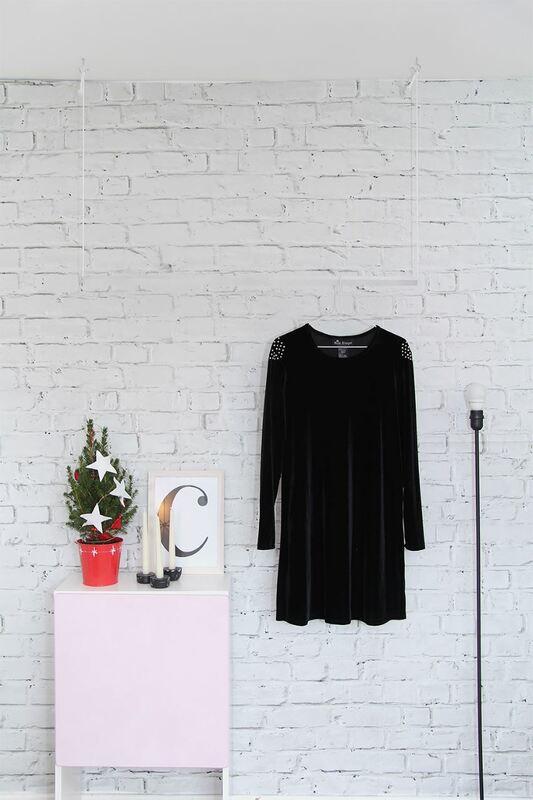 Vintage Revivals also shares some important helpful hints, such as the need to be prepared to wash the walls if you remove the paper/fabric. Yes, cornstarch can leave a residue! 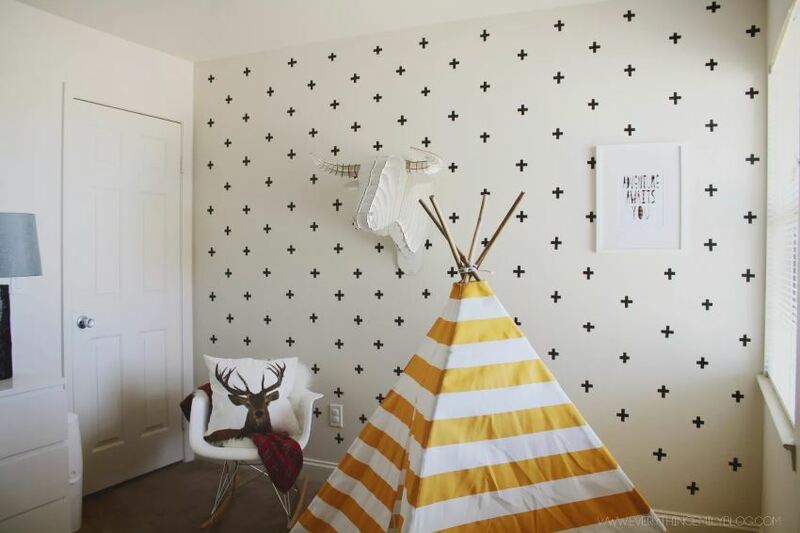 Looking for an even more low maintenance way to incorporate temporary wallpaper? 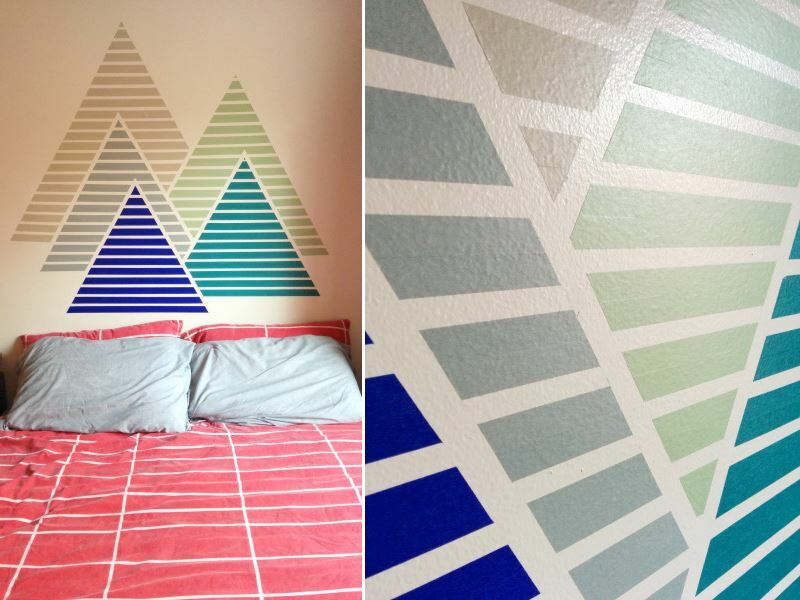 How about self-adhesive paper? 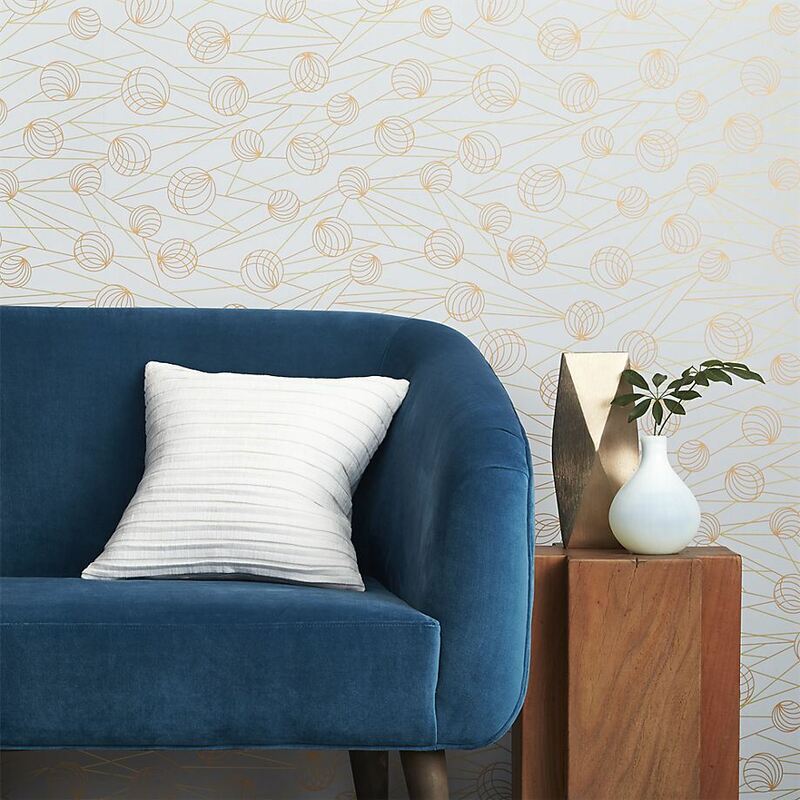 This Pinball Gold Self-Adhesive Wallpaper from CB2 features an intriguing modern pattern of spheres and zig-zags. 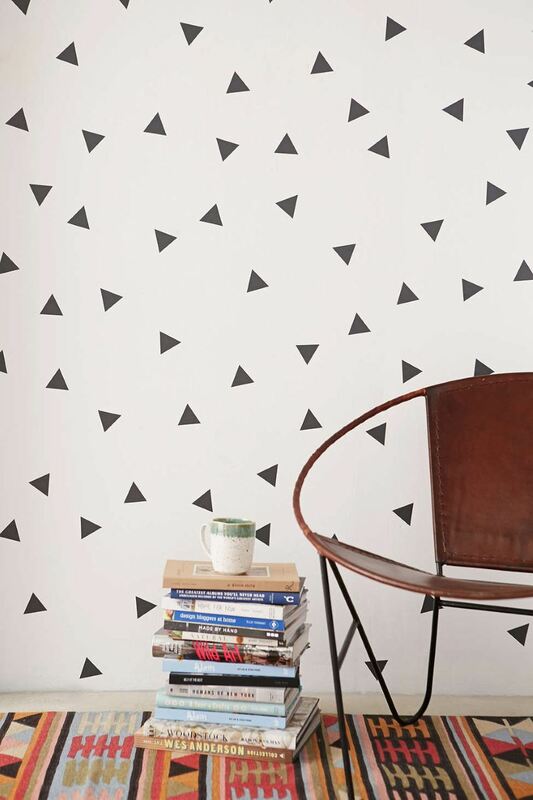 Designed by artist Noël Ashby, the wallpaper has a self-adhesive backing that makes it removable. How convenient! 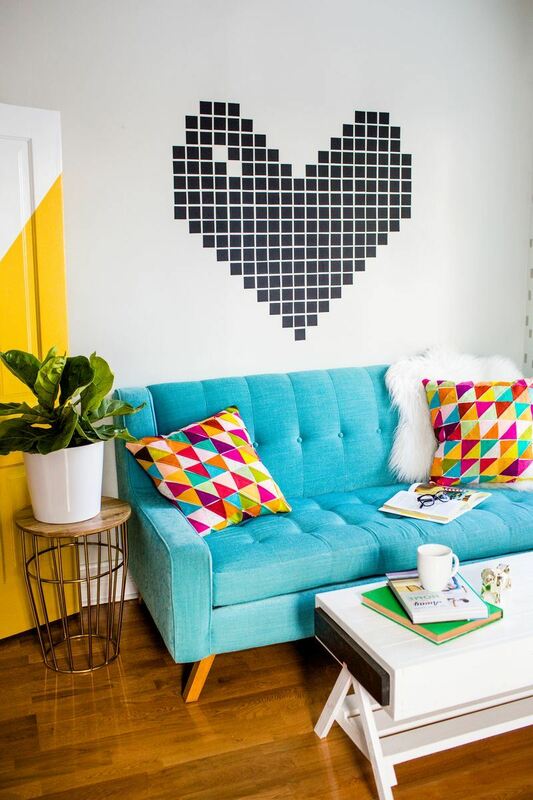 Would you personalize your home with any of the easy DIY ideas above? 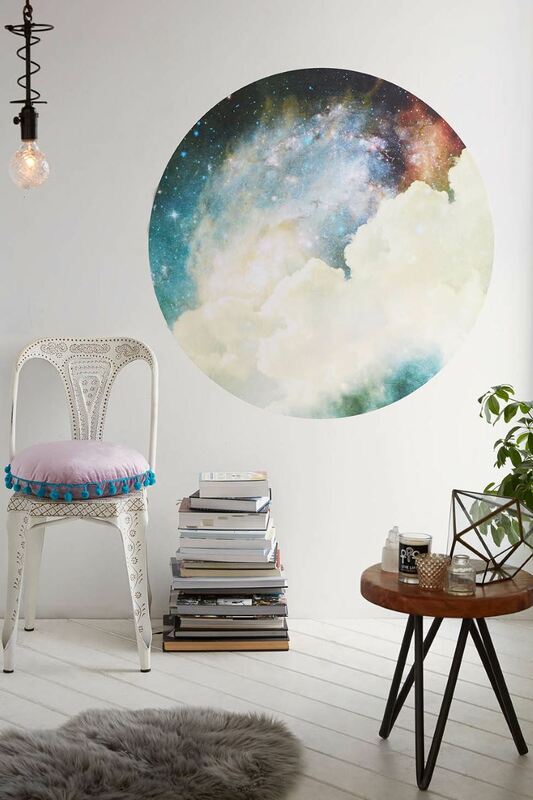 You’re reading Easy Wall Decorating Ideas for Renters, originally posted on Decoist. 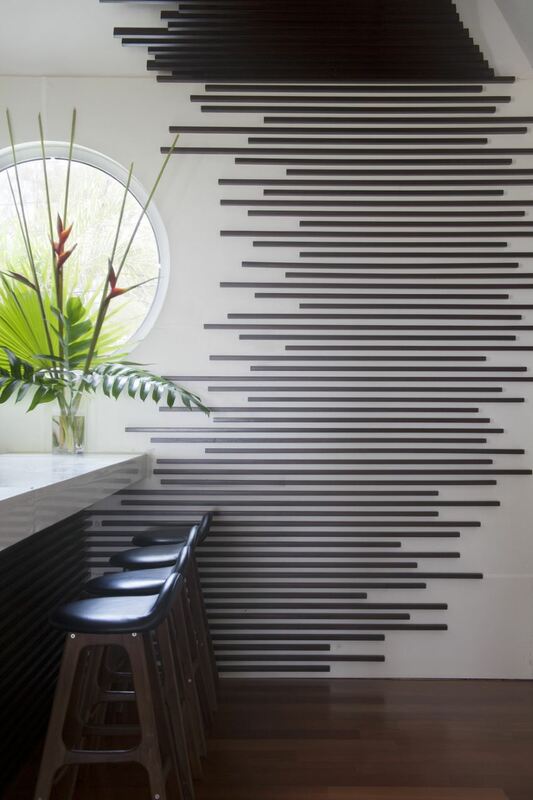 If you enjoyed this post, be sure to follow Decoist on Twitter, Facebook and Pinterest.